Formal Wear is perfect for every lady who is crazy about formal and party fashion. 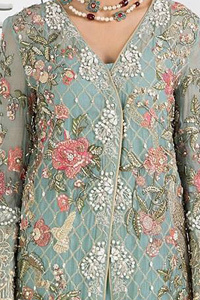 You can find from flourishing to dull and from light to heavy dresses in our Formal Collection. Stay on top of the fashion game with our offering of the hottest on-trend and catwalk inspired women’s formal. Buy everything from formal wear, figure hugging bodysuits, gowns, shirts and blouses that look like you mean business. No matter what your vibe, we will keep your style on point. Our Formal Wear Category offers lavish dresses for different occasions such as for wedding, function and party. We offer worldwide delivery.